This Pop! 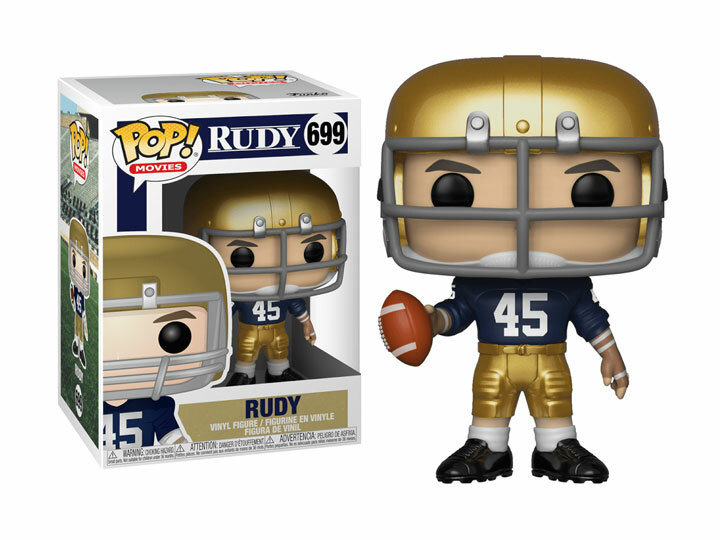 figure of the title character Daniel E. 'Rudy' Ruettiger, from the 1993 movie Rudy is sure to win hearts! With a dream to play college football for the Notre Dame Fighting Irish, Rudy let nothing and no one stand in his way no matter the odds. Sports and movie fans alike will want to add this determined character to their collection!